Many people don’t find museums the most entertaining place in the world – but honestly, why? We visited Gurusaday Museum (a private museum which is looking for funds so it doesn’t have to shut down) and absolutely loved it! 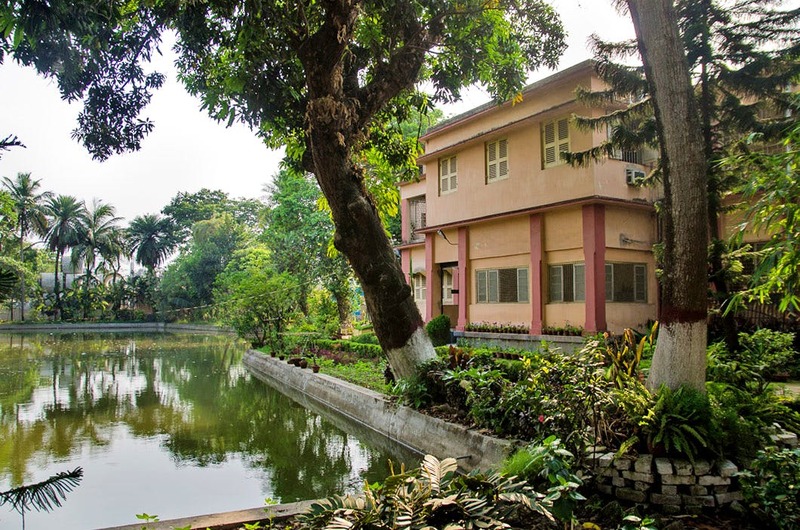 Bengali folklorist Gurusaday Dutt set up this museum, He spearheaded the Bratachari — a school of spiritual thought whose aim was to preserve Bengal’s culture and tradition. He spent his life collecting art objects from the remotest corners of undivided Bengal — Kalighat paintings, patachitras, kanthas, terracotta panels, stone sculptures, wooden carvings, dolls, toys — between 1929 and 1939, he had collected 2,325 specimens all of which you can see on display at Gurusaday Museum. The prime purpose of this museum is to exhibit the beauty that are our folk art forms. And they do an excellent job at preserving them! The people taking care of this museum truly value the worth of the art forms that seem to have been forgotten. The place itself is lovely, quiet, and serene with a beautiful pond and lush plants all around. A little far from the bustle of the main city, this place is perfect if you’re looking for some peace of mind. Gurusaday Museum definitely stands up to their vision with the number of items they have set up for you to look around. Did you know that Gurusaday Museum has the largest collection of kanthas in Asia? Their collection is gorgeous – they have so many styles like arshilata, lep, oar, rumal, beytan, sujani, and durjoni. The embroidery is faultless, and dates back up to the 19th century! Other parts of their collections include a gallery of black stone statues which images of Durga and Vishnu and Ganesha and Kali, and they actually belong to the 10th century. Their wood collection is also amazing, as are the paintings they have. They have scroll paintings, Kalighat art, and originals by Jamini Roy himself! These works have been collected from all over the state over many years. They even have a library! And it is stocked with so many Bengali rare books! Watch out for the books by founder Gurusaday Dutta. This museum also have a lot of items they put up for sale such as gorgeous collectibles from their huge dolls collection. They have all sorts of masks and toys, made by some of the best of Bengal’s artisans. You can also buy pretty postcards here with pictures of their antique treasures. And 2019 is all set to welcome a whole new section to this museum, a gallery with more of these special paintings. It already looks beautiful from the outside, and we can’t wait to see what they have planned inside! This place should definitely be on your to-visit list. Right now, this place is mostly only visited by art students and foreigners who are always interested in learning about the country and its native art forms. But this needs to change, and stat. Everybody should be interested in this. We know the place is kind of far, but make the effort, people!